Have you ever tried Decoupage? What is wonderful about this craft is that it can be done elegantly by adults and also as a fun kids project. You may be both surprised and delighted at how awesome your work looks, even on your first try. 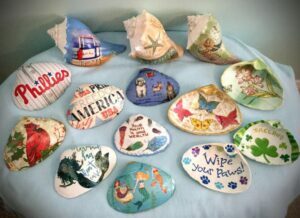 In this class they will be using local shells and applying a print using Mod Podge. 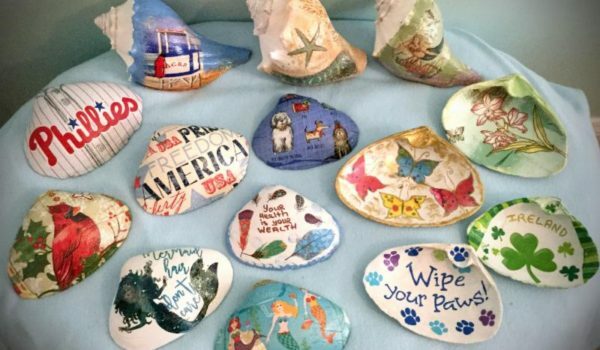 Each student will have the opportunity to decorate 2 clam shells and one whelk shell.